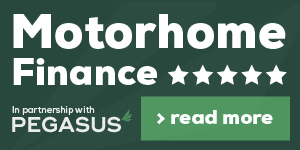 Here at Glenns we understand that when you invest in a motorhome, you want to be sure that you are receiving the best value from a reliable and comfortable motorhome. That’s why we supply a range of used leisure vehicles from the leading manufacturers to ensure you receive the best available motor to suit your budget. Glenns brand name leisure vehicles are the ideal way to ensure you are getting a name renowned for providing quality and value, at a more affordable price. Plus, there comes the added assurance that it’s from a trusted and experienced motorhome supplier in Nottingham.